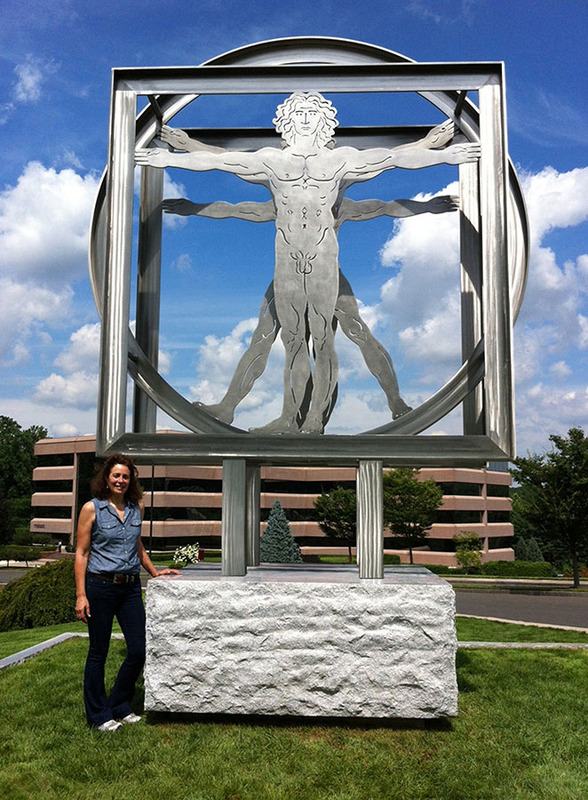 Babette Bloch will talk about her artistic vision as expressed through her laser-cut and water jet-cut stainless steel figurative sculptures on Monday, Nov. 16. At 5 p.m. in the Beacon Hall Events Center at Housatonic Community College. The talk is presented by the HCC Art Department. Bloch is a pioneer in the use of stainless steel, exploring form and the interplay between object and light in creating her contemporary art. Her wall sculpture, Magna Magnolias, is currently showing in the Atrium of HCC’s Lafayette Hall. The artist draws on several traditions in American art including modernist abstraction, cut outs, and collage found in Pop art. Her works are in the permanent collections, of the Mattatuck Museum of Art, Waterbury, Ct.; Maryland Institute of Art, Baltimore; Brookgreen Gardens, SC; and numerous private collections. She has received numerous awards including those from the National Arts Club, the National Association of Women Artists, the Salmagundi Club and Museum. The public is invited at no charge to this talk. Parking is available in the HCC garage.